**As a reminder and point of emphasis, this is not just about sheer numbers, but rather it is about increasing the quality of the forums for everyone involved, including ourselves. If we work hard, then the numbers will come, but we are not looking to purely add posts to the forum. We only want to see meaningful, well thought out responses that help the online community – both the thread creators and the rest of us who read the threads. Thank you! **1st milestone update on 9/1/2010. It’s only been 2 weeks, but I’m doing a pulse check to see how we’re doing. I think the results are amazing so far! Steve Curran, Corey Roth, Dave Hunter, Alpesh Nakar, Spence Harbar, John Ross, John Ferringer, Wictor Wilen, and Todd Wilder for all busting their tails to rack up over 500 points (honorable mention to Roland White for 499!). All 4 SP2010 forums are over 50% in answer ratio when none were over 45% when we started. 2 of the 4 are almost up to 60% overall. Each SP2010 forum has had a significant decrease in # of threads with no replies. The Visual Studio forum has dropped the most – by 5.63 percentage points – just above SPD/InfoPath at 5.42 percentage points. None of the forums are above 12% now. Due to lack of participation, the Task Force member list was pared down considerably. Anyone with less than 10 posts over the last 3 months was removed, though their contributions are appreciated. It is just very time-consuming to track so many people, so I’ve narrowed it down to so, since some are on the bubble, and I’d like to see continuous contributions. We still have a long way to go, so let’s keep it up. I hope those who signed up and haven’t started yet are ready to get cranking, and I hope we get more all-stars to join – many are already doing it on their own, so I hope they decide to join the list. Keep rockin! Ok, folks, the SharePoint forums at MSDN/TechNet seriously need our help. We have an amazing community that gives and gives through user groups, SharePoint Saturday events, major conferences, tons of blogs, tons of books, articles, newsletters, etc., but we have an incredible resource right in front of us that needs a lot more attention. Microsoft provides a set of forums for the entire world to benefit from, and there is an entire area devoted just to SharePoint. There is a pre-2010 SharePoint forum with 17 sub-forums, and there is a 2010 SharePoint forum with 4 sub-forums. These areas provide immeasurable amounts of valuable information to people worldwide who need to either learn about SharePoint or get a question answered. Unfortunately, though, our answer rate in the SharePoint forums pales in comparison to almost every other product category. We have thousands upon thousands of questions that have gone without a single reply and many thousands more without correct answers. The product team and the moderator team do their best to keep pace, but they can’t do it without us. We, the community leaders, community givers, and MVPs are the real people who drive this train, but there aren’t currently enough of us. That’s why this is a call to arms. I know that not everyone can spend every day on the forums answering questions, but if all of us band together to give a little more effort than we have in the past, then it will make a huge difference. We have the 3rd-largest MVP community, but we have one of the worst answer ratios. I’m ready to change that, but I need help. 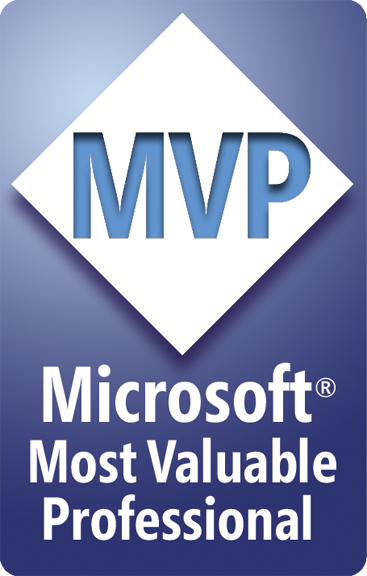 I need help from people who are already recognized experts – do you realize how exciting it is for a new person to see their question get answered by a 5-time MVP who also authored the book in their cabinet? I need help from people who don’t even realize they can help – if you do SharePoint for a living and are the expert to your client, then I guarantee you have knowledge to share that someone else doesn’t yet have. I need help from people who spend tons of time contributing to the community in other ways but haven’t considered the forums to be a valuable place to spend time – I’m telling you that this is very important, and it will be very rewarding to you and the people you help.